SHE'S THE ANSWER TO MY PRAYERS says it all to any man who LOVES HIS LADY !! - "SHE'S THE ANSWER To MY PRAYER" recording artist is T. J. Murr song written by George La Flame. The song is an up beat bluegrass style song. 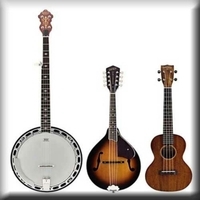 Background music-- Bangor fiddle guitar and electric bass guitar and drums. George La Flame has written a song that ANSWERS THE PRAYER OF EVERY MAN WHO WANTS TO SAY WHAT HE MEANS TO HIS SPECIAL LADY BUT CAN'T FIND THE WORDS. T. J. MURR SINGS THIS SONG LIKE HE MEANS IT !!! King of the Road Music is the proud Music publisher for this wonderful and touching song ! Geroge La Lame has been successfully writing songs since the 1960's. He has written or co-written over 300 songs ! One of his most famous is Lonely Girl that got significant airplay.. Many independent artists have recorded his songs which is a mark of an important songwriter. By George's talents include being a band leaders performing in a band co-founded by his wife Jane Eagle called the Definite Differences. There is more !! George was a local and Internet DJ. for about 30 years Given this comprehensive background in music, George been able to write such a heartfelt songs as SHE'S THE ANSWER TO MY PRAyERS and select such a great blues singer as T.J. Murr to bring it home to the world ! Congratulations George and T.J. Murr for this wonderful heartfelt song ! !